Making a home is an arduous task. From painting the walls of the interior to installing all the fixtures, homemaking takes a lot of effort and energy. One of the most difficult and time-consuming tasks involved is fitting out your place with the necessary home appliances and electronics for everyday use. But with Best in Town Services you no longer have to worry about that! Best in Town Services has been serving Dubai and the rest of the UAE for more than 10 years. With over a decade of experience in the field, we have developed both the expertise and the industry knowledge to be efficient and effective at what we do. Our team is composed of trained and highly qualified professionals who can analyse your situation, recommend an array of fit out (repair and maintenance) solutions, and execute your choice according to international standards of safety and quality. We are dedicated to providing world-class fit out (appliances supply and repair) solutions at highly competitive prices. Whether you need equipment for heating, cooling, or improving air quality, we can deliver it to you. We hold trusted, well-renowned brands amongst our range of products to ensure that our customers enjoy quality and safety from all our installations. In addition, we provide maintenance and repair services for all brands and types of air conditioning units, with the option for an annual maintenance contract. With our scalable processes, we are capable of servicing commercial and residential appliances and air conditioners. Our professional technicians can provide dishwasher repair, refrigerator repair, or washing machine repair in Dubai so your appliances can work for an extended period. Our trained professionals are capable of inspecting your unit, determining the problem, and suggesting an adequate solution. Our customers range from small venture businesses to Fortune 500 companies. 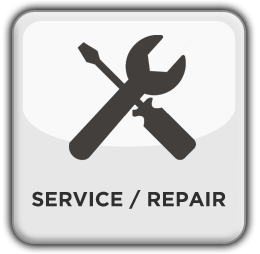 So whether you need refrigerator repair, dishwasher repair, or washing machine repair in Dubai, there is one name you can count on – Best in Town Services LLC.